No, it’s not an attempt to leave women out! In fact, New York Virtuosi works with extremely talented and proficient women artists. And if our client requests it, we can change from all male to female or a mixture in our ensemble arrangement. 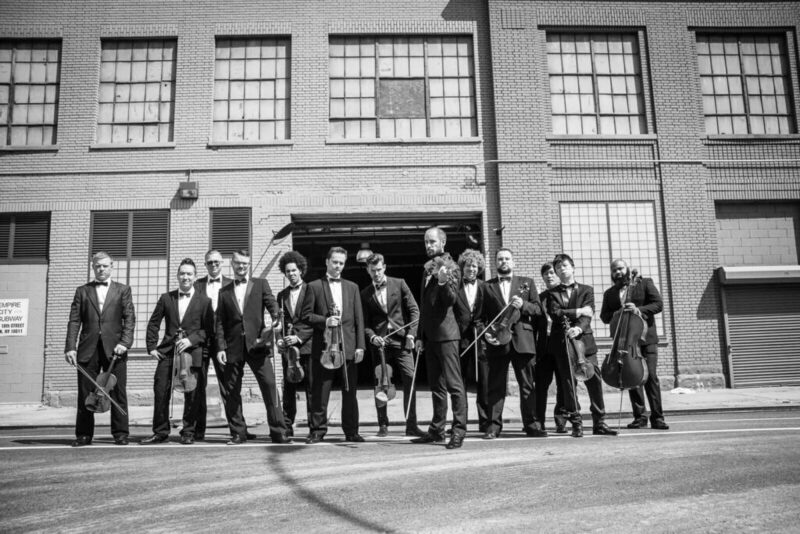 From a fashion event concept, our Twenty-Piece Male Orchestra was born. 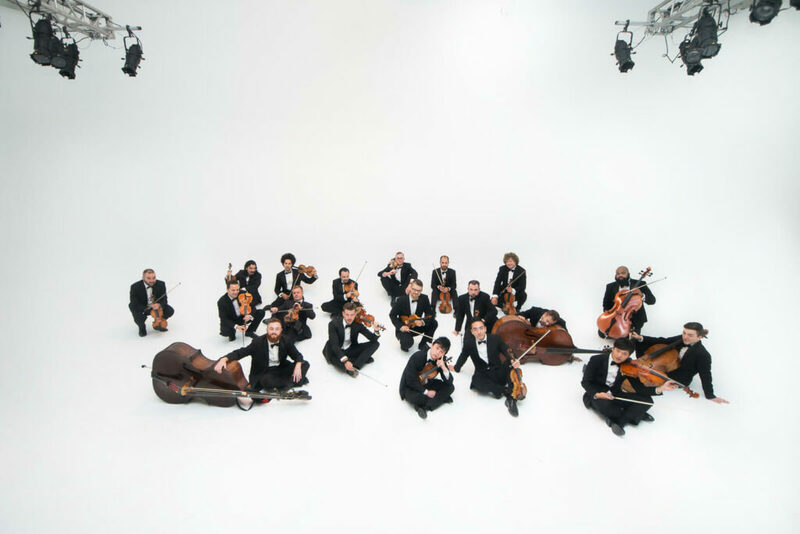 It features our stylin’ and highly skilled male string musicians from diverse backgrounds and races. Since its inception, New York Virtuosi’s fashion event clientele has grown, and we strive to create an image and brand that fits each show and the artistic vision of our client. 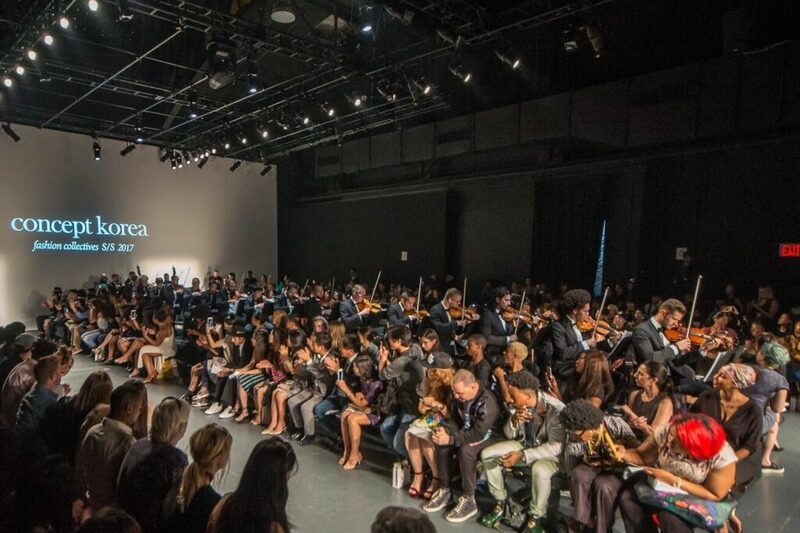 At New York’s Fashion Week, our Twenty-Piece Orchestra donned suits and bow ties, sat in a single row, and played a KPOP arrangement of GD & Taeyang’s “Good Boy” while models cat-walked onto the runway. See video below. In line with our commitment to pleasing our client, we will work with the fashion show director to choose the music, clothes, and seating style to mesh perfectly with the stage concept and visuals. Our musicians are talented and adaptable. We can arrange almost any song for a string orchestra (violins, violas, cellos, and double basses).